So, you are finally here! Looking for the easiest fish to catch, right? Well, this article is specially written for the newbies & beginner level anglers to keep the fishing frustration away. Even if you are not an amateur amongst the fishermen, you can still go ahead learning about the easiest of fishes to catch. Now let’s just get straight to the main part, shouldn’t we? But, wait! Before we start, we need to go through some more words to get the cream out of this discussion. 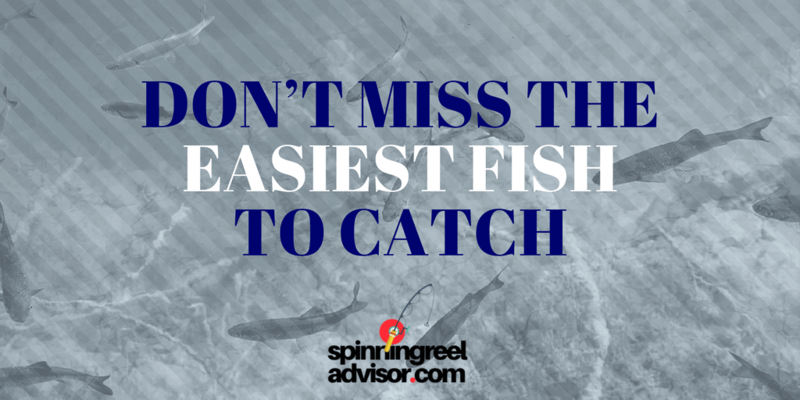 Some say that the easiest fish to catch is the fish that you don’t want. Sounds kind of true, but really is it? I would say, this thing entirely depends on your area and the local species. Some species are very locally abundant and easy to catch, but mostly they are not the edible or desired ones. So again, what matters is the area you are fishing in. So before we go further, I assure you that all of these listed fish are easy to catch and are mostly found in different regions. I’ve excluded the saltwater fishes from the list as not all of us have the ease to go fish in the ocean. And I think that doesn’t make you sad. The list introduces 10 fishes that are not picky (maybe not the least picky) eaters and inhabit in multiple bodies of water. I hope these narrowing down makes the list a good enough one. I’m pretty sure that you’ve heard about it whether if you haven’t been to fishing or not that much. I’m talking about Freshwater Sunnies and this is something that can be caught without even trying. I’m not joking, trust me. Sunfish are of different species. So naturally, their taste for baits vary from each other. Fun fact is that smaller bait like flies, worms, and grubs are their common picks. Yes, you can try artificial lures, but they prefer the smaller baits more. As I’ve told you earlier, you can have plenty of them trying the least of you can. Sunnies are small in size, so you can’t try anything rather than smaller lures. You won’t be tackling hard filling your bucket with them, guaranteed. As per my fishing experience, I have enlisted Catfish as the second easiest fish to catch for certain reasons. Firstly because they inhabit in numerous bodies of water. And secondly, they tend to eat about anything. It is obvious that you won’t be able to catch them with random lures, but sometimes you will. And it’s absolutely okay with them. 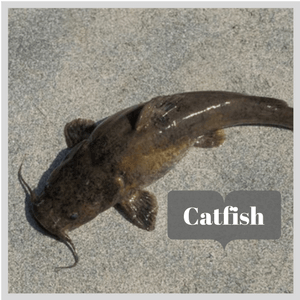 There is one thing that drives catfish crazy to lure them in like hunters. Guess what, chicken livers! Although you’re free to try baiting your hook about anything. You have your choice, just wait for the bite as you cast in. You will never be frustrated catching catfish. Being smaller in size, bluegills made it up to the 3rd position here. Ask why? Because this fish is utterly stupid. LOL. They never get wiser & keep coming for the same jigs all day long. You’ll get plenty of them from almost anywhere in North America, Somewhere in Mexico and South Africa & Europe as well. It’s believed that bluegills are vastly vulnerable to dense population. You may not like to catch bluegills for two significant reasons. One, as they’re the smaller when it comes to size. And two, you need to catch a lot of them to fill. 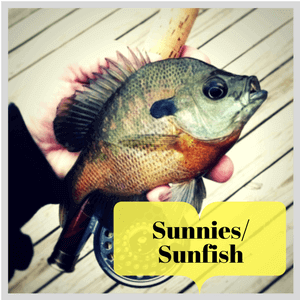 Bluegills love to eat water insects by nature, so you better go with these. Fun fact is, when food is kind of rare in the bodies of water they inhabit, bluegills even eat their own eggs. Sounds creepy, right? Now let’s talk about Crappie. Did you just read ‘creepy’? Yep, this lame joke needs to stop. Many passionate fishermen prefer crappie than perch to fish for. Perch isn’t bad, but it’s just a matter of choice. The fact is, anyone who knows to fish for perch can go for some crappie as well. No getting around that these are two different species. But they have very much in common. Crappies go after anything a perch would go for. So it’s not a miracle if you see a different type of fish coming up with your hook. Crappies are known to school with other species of panfish. Small jigs and minnows are amongst the best baits(live or artificial both) to reel them in. 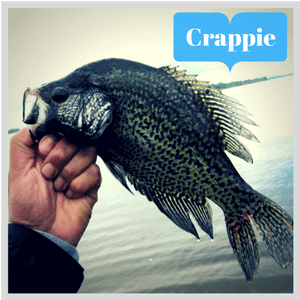 Crappies are found in the United States here and there, in Great Britain and Europe and even Canada. This is because they’re distributed extensively and they can thrive in the new bodies of water at ease. As I have stated earlier that crappies school together, you are more likely to reel them in one after the other. Hope this makes you happy. Perch has an aggressive eating habit and that is something that you feel good to hear, right? 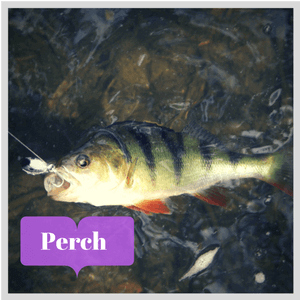 Perch has over hundreds of species that are found in almost every corner of the world. America, Africa, Australia and somewhere you might be living. Asia? Yep, you’ll be catching perch there too. Two species of the perch are the mostly known. Yellow and White Perch; in Northern America. The white one is not truly a perch, the yellow one is. Whatever, this perch gives you such taste while eating that whenever you catch one, you definitely won’t think of releasing it. Trust me, they’re pretty tasty. They ultimately eat whatever you have thrown; worms, insects, spinner, jigs, spoons, leeches, plugs or minnows. Remember that perch can be picky sometimes. Using a smaller bait will help in this case, leaving them no choice to a tight bite. Perch act a bit violent putting up a fight as they get stuck in the hook, but that’s an entertaining part of fishing. Isn’t it? Minnow! Don’t tell me you know nothing about minnow. 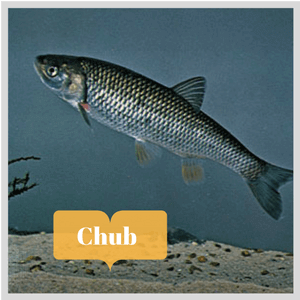 Chubs are usually referred as minnows. I mean, not all the kinds are minnows but most of it for sure. Creek chub, river chub, and hornyhead chub are amongst them. These are a type of freshwater fish commonly found in the North American bodies of water. But you have different species of them in all around the world. For example, the European chub. I can surely guess that you might be wondering chubs or minnows as bait themselves. Yes, that’s true but you will find larger chub there too. Although it is a bit harder to catch the larger ones, minnows are found almost everywhere you go. And the fun fact is, you can catch them bare handed. Trust me, it’s no joke. Just look for a spot where these are biting. The smaller they are, the more they feed on; anything that you have! Keep your rod aside and trap-scoop them up using just a net. No matter how much you have gone into fishing, you are definitely getting some sort of chubs. 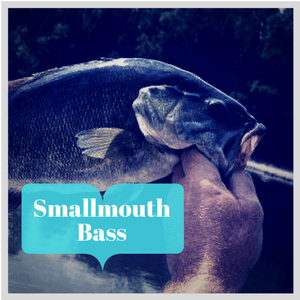 Bass are one of the much-hyped fish in our fishing communities. The tricks & tips for dealing bass are there. So it may seem obvious to you that it needs special techniques to catch bass. In fact, it should not be thought like that. Techniques are followed for every specific fish you want to catch. Bass are extremely belligerent fish, so technically they aren’t much hard to catch; except the largemouth ones. Bass are aggressive in nature and it’s been widespread as a sporting fish. 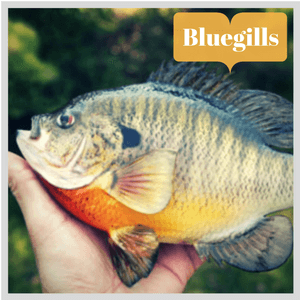 Remember we discussed bluegills up in this article? Yes, they’re stupid but when we deal with bass, it’s not like that. You may ask, why? You see a lot of anglers fishing for them. As a result, bass have figured out the lures used to reel them in. So sometimes they just ignore your lure but don’t get frustrated. Don’t go for the same old trick and throw a different lure. I believe, you still can easily catch them. It’s a bit funny when they put up a fight when you reel. Shouldn’t you enjoy that? Need the perfect reel for catching bass? Check out our best spinning reels for the money buying guide. Let’s talk about a mouth-watering tasty fish. This specific fish travels a long way to be served for the Japanese. It’s imported from the United States for appetizing taste to Europe as well. Freshwater Drum; also known as Sheepshead is quite abundant as most of us anglers don’t recognize how superior taste it has. If somehow they’re caught, get tossed back into the water for its unassuming ordinary look. But all these make them plenty for us, right? Sheepshead has the ability to eat an extensive variety of other little beings. This is unlike the average fish we catch. Because of their pharyngeal teeth in the posterior throat. So you get to try different baits like minnows, cut bait, insects or something else. Anything you used to catch every other fish. You can try variants of mollusks and crayfish for them. 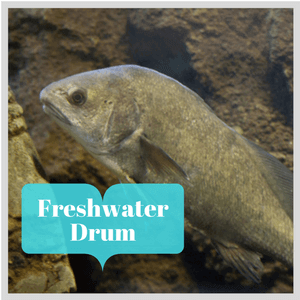 The Freshwater drum can be fished all the year round. Even if you fish at night, they’re there for you. Ha ha. Remember fish that are caught not even trying? Trout are not amongst them. A smart enough fish with different species and mesmerizing diversities. Just think about salmon. Species of trout are enormously available in specific regions in the Northern America. 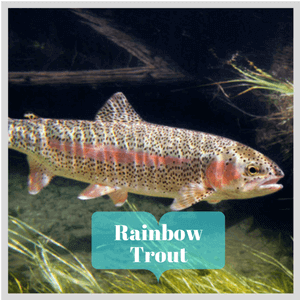 But the brown and rainbow trout are the ones that you’ll see in your region. Two of them are extremely aggressive species and like to rule their bodies of water. You’ll find them mostly anywhere you go, as they are highly adaptive to a series of habitats from lakes, creeks, rivers, streams to the ocean. Note the point that trout have the eating habits of a child’s. They’re not very picky when you use a variety of lures of baits. So keep a wide range of things to try. The bait a trout liked the last minute can fairly be ignored by it. Trout are frequent in changing their taste for bites, so they won’t be biting the same thing you introduced a while ago. Depending upon their mood may have your spinners, plugs, jigs, and spoons. Picking up some nightcrawlers or mealworms, worms or even a fly, cricket, beetle, etc. can be a good choice if you plan to throw organic baits at the end of your line. To my personal observation, trout seemed really happy with grasshoppers. Yet again, they’re smart. And you should do something to sink your grasshopper in otherwise trout might just enjoy watching it float around. The more creative your approach for trout, the more they’re going to like it. Fish roe, corn, cheese or marshmallows? Yes, they will go after these. PowerBait and Trout Magnets can assist you in a far better way. I didn’t actually want to enlist Burbot to this list as one of the easiest fish to catch but after some searches & thoughts, I’m left with no choice. That’s kinda sad. Burbot are fish with a gigantic diet. They don’t just bite most of the lures, even other fish of their own size. Ruthless predator indeed. Burbot are also regarded as a nuisance fish for certain reasons. Whatsoever, catching burbot is never that hard at all. They’re known to eat frogs, snakes, and even birds. Impatient to bite and too weak to fight your reel. It’s pretty easier that average catches. 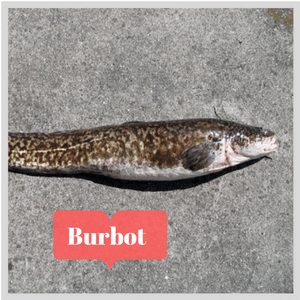 Burbot are quite common in several bodies of water, but here is the sad part; in the United States, you might be missing your chance catching them soon! It’s getting disappeared. So if you’re to catch one, better not late. Hopefully, this article helps on the easiest fish to catch! You may check our other articles as well. Maybe you need to learn How to Use a Spinning Reel. Check out some cheap spinning reels you can buy or have a look at the Spinning reels for saltwater fishing. Any changes you want to see in this article? Kindly let us know your comments. We really appreciate hearing from you.